Thank you for getting in touch with Amay Web Design. We welcomes all enquires, so choose one of the contact methods below. If you wish to get a quote, use our Get A Quote form. Using the get a quote contact form, it will give us extra information to help us with your project enquiry. Alternatively you may submit your inquiry by using the form below. Provide us with as much detail as possible, so that we can help with your enquiry, in a timely manner. While you are waiting for us to reply, or before you message, you may find an answer to your question here. Who is Amay Web Design? Amay Web Design is a small web design business, on the Sunshine Coast, Qld Australia, owned and run by Anne Younger. The services that Amay Web Design offer are varied, but all based around website design and development. Here you can read more details about our services. I have a limited budget. Can you help? Yes, of course we can! I understand that when you are just starting out, first getting your business off the ground, or for any other number of reasons, sometimes funds can be tight. I pride myself in being able to provide every business a well designed, functional website, no matter their budget. We could start with a simple one page website, or landing page that provides your clients or customers with your essential business details, or a small website that we could build on, and expand as your business and funds grow. I am very approachable. Contact me and give me your max. budget and we will work from there. For my local clients, I offer bank deposit, cheque, cash payments, and credit card via paypal. For my international clients, I offer credit card via paypal. Do you offer multiple site maintenace? 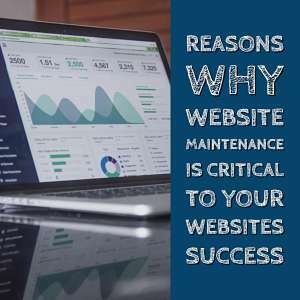 Yes, Not only do we build websites, but we offer WordPress maintenance services. Our basic maintenance package starts at $50 a month, billed yearly or month-to-month. We offer a 20% discount for multiple sites. Larger discounts for bulk websites. Contact us to discuss your needs. Do you only work with Australians? Due to the nature of our business, we are able to work with clients throughout the world, not only those in Australia. I have successfully worked with many overseas clients, communicating through email. I already have a site but it needs a facelift. Amay would be happy to assess your current site, and give it a fresh new look. This would also include updating site features. I am not ranking well in google. Can you help? Amay Web Design can help with your seo campaign and improve your sites presence and ranking in major search engines. This will not only help with pagerank and your position in google search, but will help customers find you. More customers mean more sales. In need of a domain name and hosting. Does Amay do this? Yes. Securing your new domain name should be the first step in your website plan. Some of our website packages include domain name registration as well as hosting. You can check out our website packages here. Even if you don’t go with one of these packages, we can still help. Get in contact to discuss it further. I want to move my website to a new host. We can help. We will back up your site and content move it to your new host, with minimum disruption to your website uptime.